How would you like to spend 10 days photographing in Tibet and China? 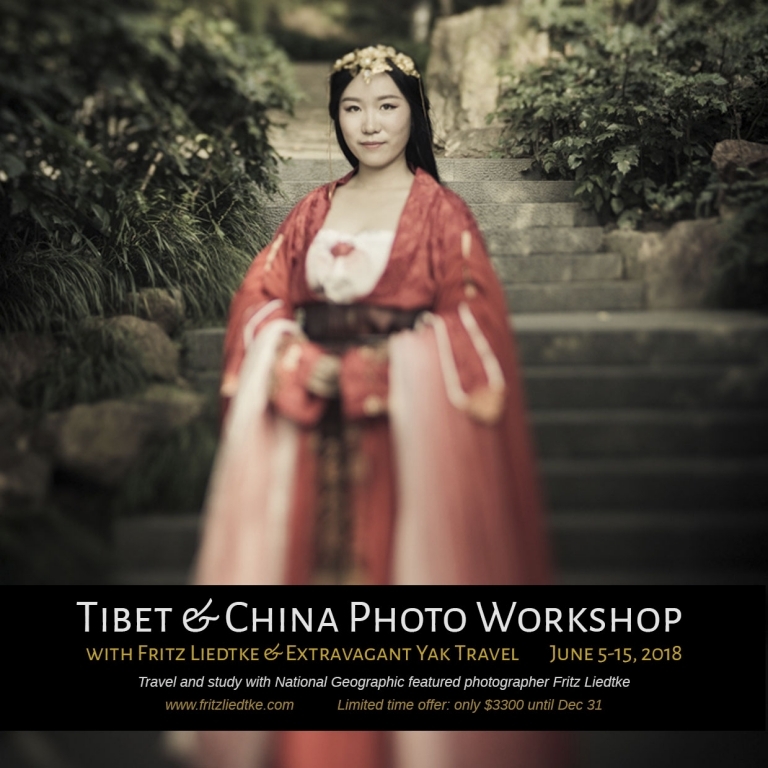 Wake up in luxury lodgings very day, and enjoy amazing vistas, delicious food, real people, behind-the-scenes access to traditional Tibetan artisans, and one-on-one photo mentoring with photographer and artist Fritz Liedtke. All skill levels and types of photography are welcome. Fritz is an experienced teacher, and a photographer whose work has been featured by National Geographic, among others. His fine art and commercial photography have taken him around the world, and he’d like to share what he’s learned with you. It’s a chance to travel, make friends, and learn to see in new ways. Want to come? It’s June 5 – 15, 2018, and it’s surprisingly affordable. Learn more here, and take advantage of the limited time special discount until December 31!